The system that evolved into Harvey left the western coast of Africa as a tropical wave on August 13th. Central America. A low pressure area began to define itself as the system moved into the Yucatan Peninsula. between the Sabine River and Houston. dissipated north of Lake Erie on the 3rd. 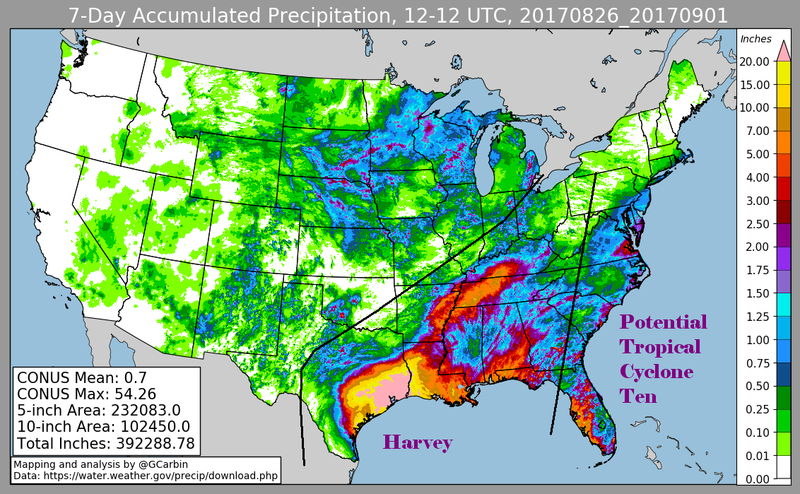 Weather Service forecast offices, CoCoRAHS, Drainage Districts 6 and 7 of Texas, and the Harris County Flood Control Network. previous wettest six day rainfall that occurred during Tropical Storm Allison (2001). Below are side-by-side comparisons of Harvey to Allison (2001) and Claudette (1979), the wettest known tropical cyclones in Houston's history.